One of the best things I love about what I do is finding a “DIAMOND IN THE RUFF” that no one has heard of outside of that player’s immediate area, and being able to break them to my Raw Sports audience, especially the respected Philly area hoop scene and all of the city’s scouts and writers, such as my friends Delgreco Wilson (Black Cager Sports) & Clarence Gillespie. With that being said, I would like to introduce everyone to “J.J. 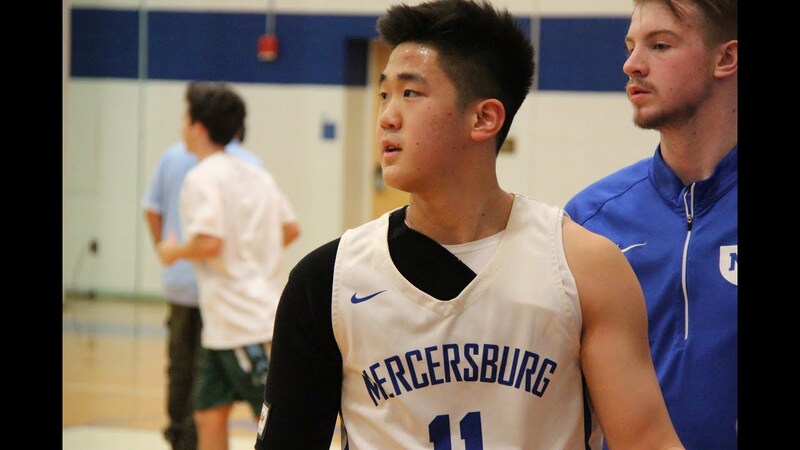 CHOU” hailing from SINGAPORE, by way of Mercersburg Academy. Nothing fancy about him, but this kid knows how to put the ball in the basket. One thing that I was super impressed with is how he mastered one of the oldest and most UNSUNG moves in basketball, “THE PUMP FAKE”. It appears that he has mastered that ability to get the defender off balance with the pump fake, then take advantage of him every time. Wether he followed up with a jump shot, dime, or drive to the basket, this “Pump Fake” always seemed to lead to something good. Other observations are that he’s very strong, welcomes contact, he’s a good shooter, and appears to be very coachable. I’m def going to monitor JJ Chou to see how he continues to grow and what else he has in his stash of moves. Any writers/scouts reading or watching this clip, give JJ Chou a shout, he’s def worth the ink.